But sometimes, it’s the little things that count, and The Philadelphia Inquirer reports the Boss pulled a classic old-school cool uncle move yesterday, by signing a kid’s absence note. 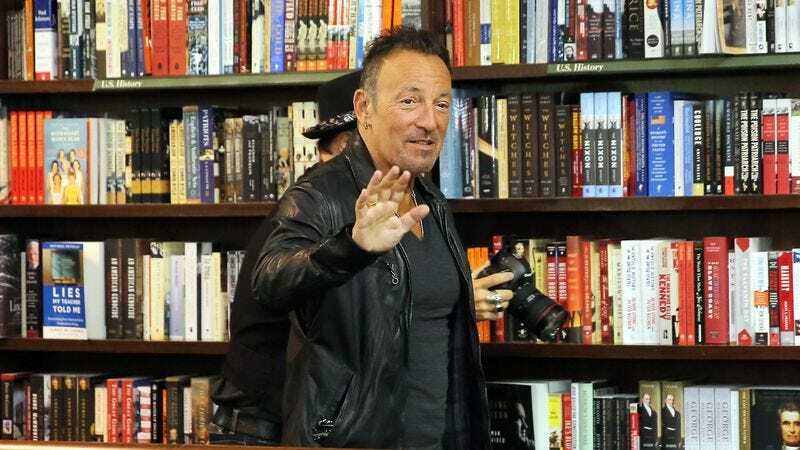 Appearing at the Free Library of Philadelphia on Thursday to promote his new autobiography Born To Run, Springsteen was greeted by a fifth-grader whose father had thought to bring along a note explaining why his son was missing school. Springsteen took the note, saying, “I have to read it first, that’s how I got in trouble with my first contract,” which is really funny if you’re a superfan like The A.V. Club, and a total dad joke if you’re not. But he signed it, handed it back, and the father astutely passed along a photocopy of it to the principal, because even dads know a cool uncle’s autograph isn’t just something you hand over. Now, if we could only get Springsteen to sign a note excusing everyone’s behavior on Twitter for the past decade, we’ll be all set.